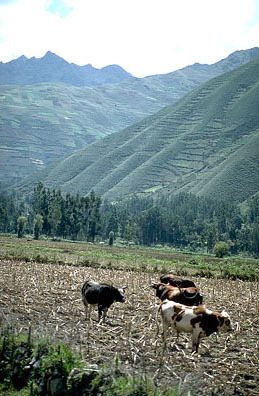 Cows graze in valley fields after the corn crop has been harvested, in April or May. 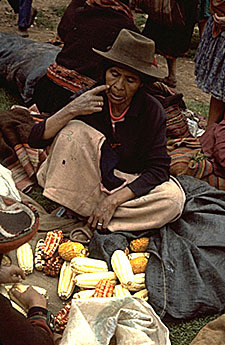 In the rich Urabamba valley, where corn grows, about one thousand feet lower than Chinchero. 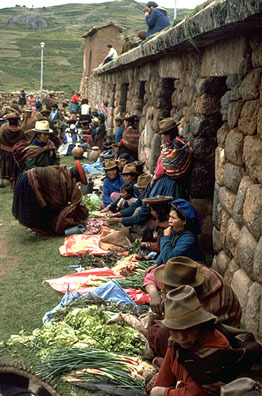 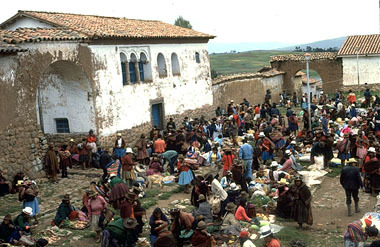 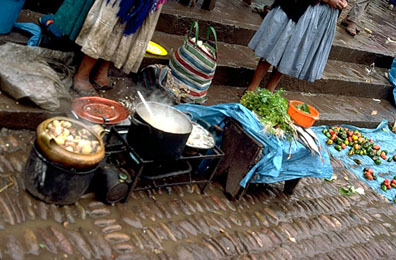 On Sundays people travel from the valley to high altitude village markets to trade for potatoes, quinoa and other grains. 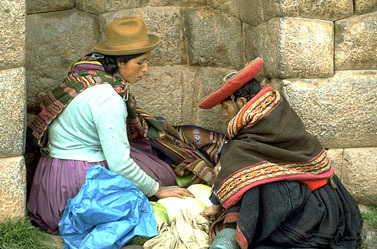 The Incas, expert engineers and agricultural specialists, worked to channel the river with giant stones to prevent flooding of the rich valley soil. 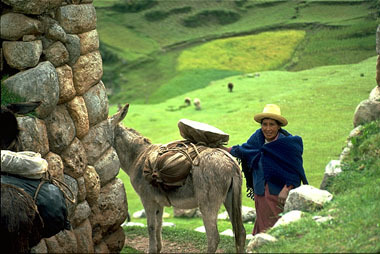 Farmers still use some of the Inca agricultural terraces that once lined the mountains above the valley.